Todd Park, a former U.S. chief technology officer, has joined Washington think tank New America as a member of its board of directors. He served as federal CTO at the White House’s Office of Science and Technology Office from March 2012 to August 2014 and a technology adviser to former President Barack Obama from September 2014 to January 2017, New America said Monday. 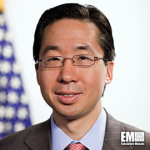 Park previously led the Department of Health and Human Services‘ efforts to leverage data, technology and innovation platforms to manage the country’s healthcare system as HHS CTO. He established cloud-based healthcare software provider Athenahealth and health benefits platform company Castlight Health before he joined the federal government in August 2009. He also held consultant and associate roles at Booz Allen Hamilton. “Todd has a profound understanding of how technology can improve people’s lives,” said New America CEO and President Anne-Marie Slaughter. “I am thrilled to have him join the board and help New America pioneer a new approach to solving public problems through the marriage of technology and policy,” Slaughter added. New America develops strategies to help to bridge a gap between technology and policy in the digital age as well as support programs meant to boost the country’s politics, prosperity and purpose.